Halifax, NS may one day be known not for the Maritime beauty that it is: a small cultural paradise steeped in artistic tradition, but for the quality of musical acts it has produced over the past decade. Artists such as Amanda Marshall, Sarah McLachlan and Sloan only begin a list which reads as a who’s-who of the Canadian music scene. A lesser-known, but equally powerful force has also emerged, albeit quieter, from the famous shadows that surround her. 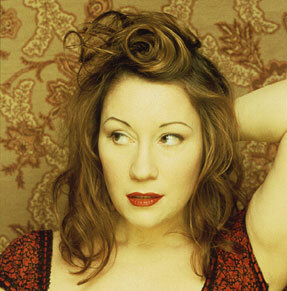 The her, none other than the jazz vocalist Holly Cole, has already established a presence in the pop-jazz tradition, and has know woken the genre up with her latest album, Romantically Helpless. “One Trick Pony” (Paul Simon) and “If I Start To Cry” (Laura Harding). Cole’s own band mates pitch in with the album gem “Make It Go Away” (Aaron Davis) and the seductive “I’ll Be Here” (David Piltch).